How big is a MOOC? What is the importance of a cohort in a MOOC? Where is the center? What is its optimal time frame? Can participants dip in and dip out whenever they feel like it? in which case can they dip in and dip out over a number of years? or can they band together informally in a space that's not called a MOOC? Would that then still be called a MOOC? Some of these questions are developing answers in the literature. For example, User:Mackiwg created a post in WikiEducator where (s)he asks "How big is a MOOC? Double the number from one week to another". As attrition in MOOCs is also an issue, the answer could just as easily be "halve the number from one week to the next." Still, for the question of what number constitutes a MOOC, most references point to McAuley, Stewart, Siemens and Cormier (2010) http://davecormier.com/edblog/wp-content/uploads/MOOC_Final.pdf, where for an open online course to be massive, it has to have hundreds or thousands of participants. "a MOOC integrates the connectivity of social networking, the facilitation of an acknowledged expert in a field of study, and a collection of freely accessible online resources. Perhaps most importantly, however, a MOOC builds on the active engagement of several hundred to several thousand “students” who self-organize their participation according to learning goals, prior knowledge and skills, and common interests. Although it may share in some of the conventions of an ordinary course, such as a predefined timeline and weekly topics for consideration, a MOOC generally carries no fees, no prerequisites other than Internet access and interest, no predefined expectations for participation, and no formal accreditation." "We have approached this MOOC in a way similar to how we teach a graduate seminar. We respect the knowledge, diversity and innovative spirit of those who choose to participate in a MOOC. and mostly to point people to interesting resources in the area of online learning. Our approach is not that we, the organizers, will teach in a traditional hands-on way, but that we will provide the opportunity to engage, interact, and learn. We set the original agenda, invited some panelists, created some spaces - though many more spaces were created by the participants - to give some form to the MOOC blob so people would have an idea what it might become." Mary Rearick, a prolific contributor to EduMOOC 2011, observed in a Facebook post (in the MOOC group on July 15, 2011) in answer to someone trying to find their way in the MOOC, that "one can find oneself going in circles... Since distributed groups have formed and content is scattered everywhere... a person can waste a lot of time and there is really little opportunity to collaborate on anything significant." 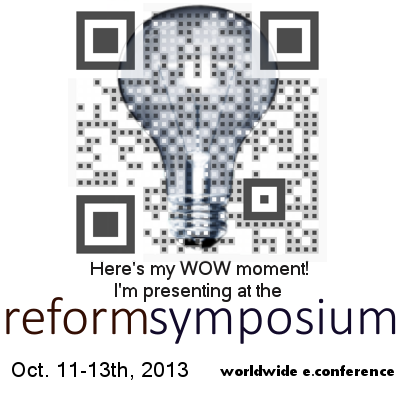 I replied that "Sometimes I feel I'm going in circles with Google+ but with EduMOOC I'm learning every day. I mentally leap to ePortfolios where individuals can specify their learning goals (significant to them) and document how they achieve them. In this context I wonder if we can consider time wasted if a learning goal is achieved. In a MOOC some of the goals are likely not achievable in other learning environments." that topic, starting later this month: https://sites.google.com/site/eportfoliocommunity/epcop-mooc. One good example of how connectivist learning takes place is Twitter, where people follow one another in an effort to expand their PLNs and maximize contact with postings leading them to learning even one thing over coffee in the morning. This one thing (and often it is many things) can be considered a significant learning increase over what was previously available. Similarly, Mary created another post in the vicinity of the one mentioned above (July 18) http://screencast.com/t/js2O41WX8h. When I saw it, I Scooped it http://bit.ly/r8l3Ou and then tweeted that http://twitter.com/VanceS/status/92852508422180864 thereby spreading the knowledge throughout my network. The article worthy of so much attention is a study of PLENK 2010, ellucidating patterns of learning to emerge from that recent MOOC: Kop, R. (2011). The Challenges to Connectivist Learning on Open Online Networks: Learning Experiences during a Massive Open Online Course. The International Review of Research in Open and Distance Learning 12, 3. Available: http://www.irrodl.org/index.php/irrodl/article/view/882/1689. I think these ideas are revolutionizing how we (we in this particular choir) are thinking about how we might configure and deliver educational products, but as with most revolutions, the ideas have been there all along. It's just that now the spark is there, or that connectivity is such that learning-directed interaction is now possible on truly massive scales, and the time is right for many of us to realize that the people in the next cubicles (or at least in the ones we've been connecting with online recently) have been mulling these issues in the same way we have for some time now. In our Learning2gether EduMOOCast July 10, 2011 http://learning2gether.posterous.com/vance-stevens-and-jeff-lebow-will-lead-a-disc Nellie Deutsch was hypothesizing on what has given this particular MOOC its legs. She attributes a lot of that to the relaxed degree of control that the moderators here have been exercising, but I would say also that the participants in their present mindset are also more in a position now to take their own control. There are many experienced MOOCers here, which could not have been possible with the first one just a couple of years ago, when the ground rules were only then being formulated. But that was when this phenomenon was first called a MOOC. How long have we been MOOCing about like this? Jeff Lebow blurred the line further by suggesting in one of his EduMOOCasts that perhaps EVO or Electronic Village Online could be considered a MOOC. EVO has never represented itself as a MOOC, but it is an ongoing event taking place each January-February since 2001. It's massive on a scale of hundreds to thousands, it's open, it's online, and it's a set of courses. It rolls over year after year at http://evosessions.pbworks.com, and it sustains itself year round as its coordinators line up mentors prior to the call for moderators, who then undergo training which is also organized year round, so they can conduct the sessions in January and February. Jeff could just as easily have mentioned his own http://worldbridges.net network of webcasting educators. The network of committed and productive educators at http://edtechtalk.com/ continues to churn out podcast after podcast, almost every one including a word of thanks from godfathers Jeff Lebow and Dave Cormier for providing the server and the opportunity. Many of these podcasters matriculated through http://webcastacademy.net/, a MOOC by all the standards listed in McAuley, Stewart, Siemens and Cormier (2010); i.e. a coherent course with a syllabus and timeframe for training participants in the complex techniques required in webcasting. It's free and open, richly socially networked, and has hundreds of participants who organize themselves around helping to write and update content. I'm starting to think that communities of practice such as http://webheads.info could conceivably be construed as a MOOC. This group is also massive on the scales discussed here (over 1000), it is open, online, and is a course insofar as its members are constantly learning from one another, overtly in the case of its weekly online events which have taken place every Sunday since 1998, and have most recently manifested themselves in the seminar series archived at http://learning2gether.posterous.com. I just happened on a post I made in 2009 when I was following a SCoPE seminar (possibly yet another MOOC) and reflecting on my learning then: http://vancestevens.posterous.com/reflections-on-how-we-learn-through-networks. At the time, networked learning was catching on in a big way (this was just after the first MOOC in 2008, see http://en.wikipedia.org/wiki/Massive_open_online_course) and this post recalls what I was learning at the time and more importantly how I was doing it, and more important still, how I and others in my PLN had been learning from one another from almost the moment ubiquitious connectivity became possible with the advent of Web 2.0. So, I'm starting to wonder, have we in fact been MOOCing all along? McAuley, A., Stewart, B., Siemens, G., and Cormier.D. (2010). The MOOC model for digital practice. Created through funding received by the University of Prince Edward Island, Social Sciences and Humantities Research Council's "Knowledge synthesis grants on the Digital Economy." 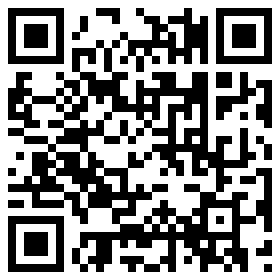 Available, http://davecormier.com/edblog/wp-content/uploads/MOOC_Final.pdf. The concept of MOOC really appeals to me as a way to organize learning. It apparently appeals to others as well, judging from how so many sign up for them. When MOOCs are announced, the news spreads across overlapping PLNs like a swarm of locusts and thousands are attracted like moths to a flame. There's one on now at: https://sites.google.com/site/edumooc/ for 8 weeks starting on June 27, 2011. I was wondering how to get myself writing about EduMOOC. It was natural that the impetus should come from this thread on the eduMOOC Google Group forum: http://groups.google.com/group/edumooc/browse_thread/thread/6d264a22386f7b99#. The thread relates to the optimal amount of time such a course should run and how much time participants should spend with it. I've dabbled in MOOCs before and use Dave Cormier's videos in a course I teach on Multiliteracies at http://goodbyegutenberg.pbworks.com/w/page/33070377/Week3EVO2011. I have lately modeled my approach in this course on the MOOC model, only there I call it miniscule open online course, on the assumption that the approach scales downwards nicely. That course is a part of the TESOL Electronic Village online sessions, http://evosessions.pbworks.com which also run for a similar length of time. The first round in 2001 was just for 4 weeks, but apparently the coordinators thought that amount of time was not enough because in 2002 they went up to 8 weeks. In 2003 however, they decided they had overstepped and the time was reduced to 7 weeks. For a while after that we ran them for 6 weeks, but the last couple of sessions have been reduced to 5. The feeling is obviously that when the session goes on for too long, people get worn out toward the end of it. Eight weeks is intensive for the volunteer moderators, a long time for them to have to sustain momentum. But in a MOOC it really shouldn't be up to the moderators to have to drive the course for 8 weeks like a 20-mule team. A course that is set up nicely around provocative aspects of a topic can run itself, especially once you get people interacting. Dave Cormier for example points out that the over-riding take-away from such a course is not a certificate, as you would expect from a 'formal' learning situation, but the network you develop through participation in such a course. This dovetails nicely into the idea of learning and knowledge being essentially connectivist. As George Siemens told me once, in answer to the last question I asked him at the end of this recording: http://vance_stevens.podomatic.com/entry/eg/2009-01-28T03_19_19-08_00, it is the moderator's job to provide a coherent structure to the course. After that what can you do with 2000+ participants? They learn by constructing their own coherence in their run-up to the end of the course, based on what they are learning and how they are restructuring their knowledge and perceptions of the part of their world they are exploring in the course, and an important part of that is not relying on the moderators to do this restructuring for them. 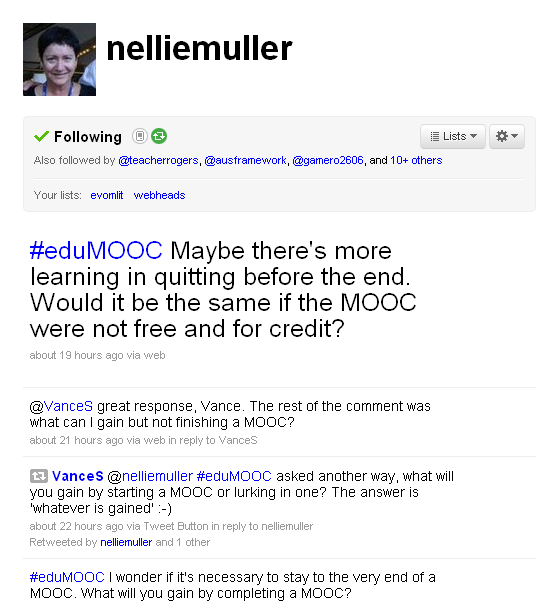 Nellie Deutsch tweeted a question on the #edumooc tag asking " I wonder if it's necessary to stay to the very end of a MOOC. What will you gain by completing a MOOC?" I replied "asked another way, what will you gain by starting a MOOC or lurking in one? The answer is 'whatever is gained' :-)" to which Nellie muses: "Maybe there's more learning in quitting before the end. Would it be the same if the MOOC were not free and for credit?" (an aside to Nellie, see https://twitter.com/bnleez/status/86976985615708160 who posted this also on the #edumooc tag). The double meaning here is either that arriving at the destination is not the reason we travel, or that the point of traveling is to stay on the road and never end the journey. The question of 'arrival' is what Nellie seems to be getting at. However B.D. Boardman brings up the amount of time we should spend on the journey, and asks for insights on that question, which is what I am addressing here. To me it's transcendental. The point of the journey is to be on it. It doesn't matter how much time you spend on it or when or where it ends, if it does. YOU could focus on EduMOOC for 2-4 weeks if that's right for you, or 5 min. a day for whatever duration of time will benefit you. That's why I said to Nellie that you gain "whatever is gained." Whatever that is, it's quantums over gaining nothing by not participating at all. As Ken Robinson says in "The Element" (see his TED video at http://blog.ted.com/2009/01/08/sir_ken_robinso_1/), there are 6.93 billion different intelligences on the planet, a number that he would have to revise upward as people are born (see http://en.wikipedia.org/wiki/World_population). Accordingly I would say there are 2000+ approaches to coping with this particular MOOC, and the same number of opinions on how much time would be optimal for it. I'm participating in EduMOOC by blogging around the topic, tweeting, trying out a Scoop.it on the topic at http://www.scoop.it/t/edumooc/, and working whatever and whomever I encounter in this course into my summer workflow. This post is one salvo among many being inspired by EduMOOC 2011 as we speak, with slim chance of my reading many of those other salvos, or of a significant number reading this one ...unless we consider that one person changed through encountering the opinion of at least one other is a significant number, which it is. Learning is change; which is to say that if nothing changes, then nothing has been learned. Ergo, as we learn we change and as we encounter one another in that process of learning we change one another. The idea of a MOOC I think is to create one cauldron into which you pour a heap of ideas and stir, and change emerges. Stephen Downes was once asked why he put himself in the position of having to support such a huge endeavor, and he said, because he would learn from it. What is clear from the premise of Christensen's books for example is that there are many aspects of education that need to change, and what we are doing here is coming to grips with that. The questions of how long or whether to see the course through to the end are good ones to be asking, but the problem with the answer(s) is that there are 6.93 billion of them.